Posters offer a highly cost-effective solution to getting your messages in front of your target audience. The right poster design and print displayed in the right place will really boost the visibility of your brand, event or special offer. Guaranteed to get noticed our customised posters are perfect for advertising promotions, events or products. Using our wide format printing machine we can print posters up to 1370mm wide and to any length so the whatever your poster printing needs we can do it. 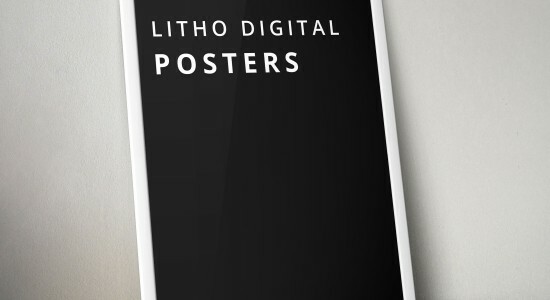 We can print your posters litho, digital, or wide format in whatever finish you require. If you don't have a poster design we'd be delighted to work on this for you. Please don't hesitate to contact us if you have any further questions.